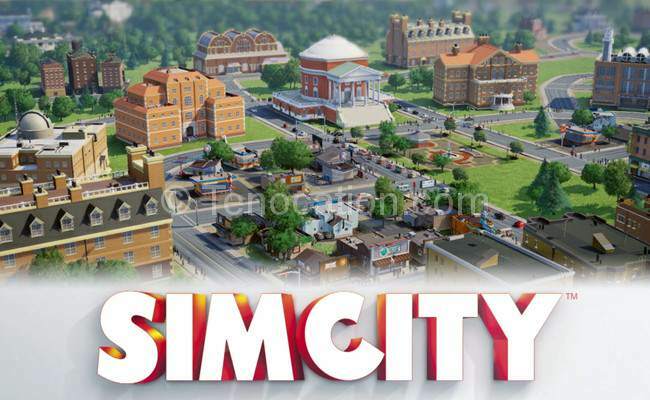 SimCity is and always was a beautiful game, giving us control over sims once again, but on a much more grand scale then games like The Sims 3. They have given you god like powers over not just a family this time, but an entire city. And this time around, watching your city grow and develop into a bustling center of culture and commerce, is very beautiful. But some technical problems may outweigh the beauty of the visuals and concepts this game offers to it’s players. After I got the game, I was immediately captivated by it’s beauty, zooming in to see these little cars being drove by little people to get them to work, the micro detail is quite amazing. And never before has a house burning down looked better. Simple things like upgrading road systems and building factories can be addicting and fun. Sadly, things aren’t all good in this new cult classic. The very first thing you’ll notice after maintaining a city for a few hours, is that there isn’t much room for your city. In fact, the space is small enough for it to make you quit the game only a few hours after starting. The planning for buildings must start early in the game, extensive planning and thinking ahead is unnecessary if you don’t want to run into the walls around your city while not having everything you wanted to begin with. While this does sound good, forcing you to plan ahead, it sounds better as an option. But as of current, you either plan ahead or get screwed later on. Another huge problem the game currently has, is the strange AI. Any gamer will become quite confused when your Sims begin to complain that there is no shopping spots while sitting next to a 200 store wide mall. The game then begins to seem pointless, you begin to wonder why you would build anything knowing people will not go to it, but why? Then there is the biggest problem the game has to offer, the always online feature. With the servers being basically broken and unusable on launch day, many consumers have complained about waiting up to 6 hours to get into a game. While it has received a #1 seller on Amazon, it is also one of the worst rated products in Amazon history. 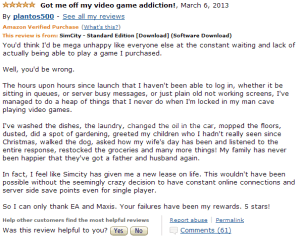 Even the 5 star reviews for the products, are just trolls and dissatisfied customers. While SimCity is a beautiful game, it seems EA has taken a liking to money more then customer satisfaction, which really isn’t surprising. The game has major server and playing limitations, as well bugged out AI and general glitches. It needs a major fix, and we would recommend if you want to get this game, wait until all of these problems are addressed. Whats the verdict? We suggest you wait, or don’t get it at all. HTC One Remix – Everything At Once!